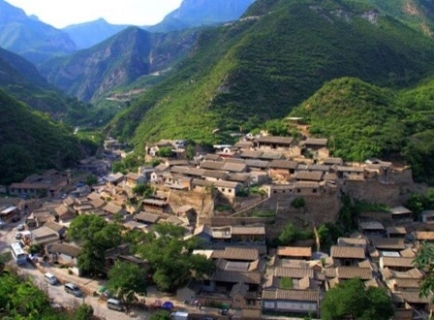 Cuandixia village is a picturesque mountain village, a hidden gem, like another "Shangri-La". Cuandixia is famous for it's special layout, beautiful old fashion courtyard and decoration. This village is home to about 93 people. There are 3 highlights in this village, namely the courtyard, the screen wall and the gate Tower. The courtyard is a house where people in the northern part of China stays in. More often than not, it is rectangular and enclosed by walls on 4 sides. The screen wall is a single wall which stands at the entrance of the house and is used to stop people from going straight into a house. This way, people can only turn left or right after they cross doorstep. According to Feng Shui, the screen wall can protect the house from evil spirit. The gate tower is the last masterpieces in this village. Built at the southeast corner of the courtyard instead of the middle, it is meant to bring fortune to the family.